Earlier this month, the Otakuthon Anime Convention stormed through lovely Montreal, Canada. And when there's a convention, you can bet there are people in funny costumes. 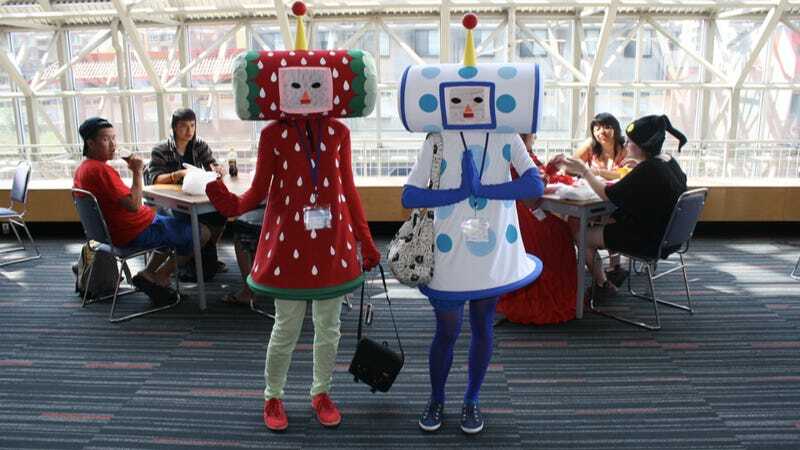 Reader Yeti sent along these snaps he snapped at this year's Otakuthon of cosplayers dressed as characters from titles like Final Fantasy IX, Resident Evil, and Katamari Damacy. Okakuthon, which sounds like it should involve running but doesn't, is held in mid-August. So if you want to go, then you'll need to wait until next year. But wait patiently. Please.